P.E.I. potato growers say they're planting more mustard than ever in 2018. They're finding the bright yellow crop does more than fight wireworm — it also gives them a nice bump in potato yields in fields where mustard was planted first. Hans Wilting runs Linden Lee Farm in Meadowbank, P.E.I., and is no stranger to wireworm. Natural pest control under review on P.E.I. "We have a bit of a problem with wireworm out in this area, as do a lot of areas, and this seems to be giving us some help with that," said Wilting. "It's also giving some good results on some other diseases too, soil-borne diseases. And as a rotational crop, it's adding a lot to the soil." The P.E.I. Potato Board estimates wireworm costs the potato industry about $10 million a year in measures to control it and damage to crops. Wilting started with a bit of mustard four years ago and has now increased that to nearly 200 hectares this year. "It's becoming quite a popular crop around the countryside. If you drive around, you'll start to see a lot of yellow fields in the next couple of weeks," Wilting said. "It's a good thing. It's not a chemical, it's something natural that you can put in the soil and it gives you a bump in yield and controls pests that you otherwise have to fight against with chemicals." Wilting said he can tell the mustard is making a difference "because my potato trucks fill up faster when I'm digging potatoes. Right now, most P.E.I. farmers plow the mustard into the soil. As it breaks down, the plants give off a biofumigant that kills wireworm and other pests. 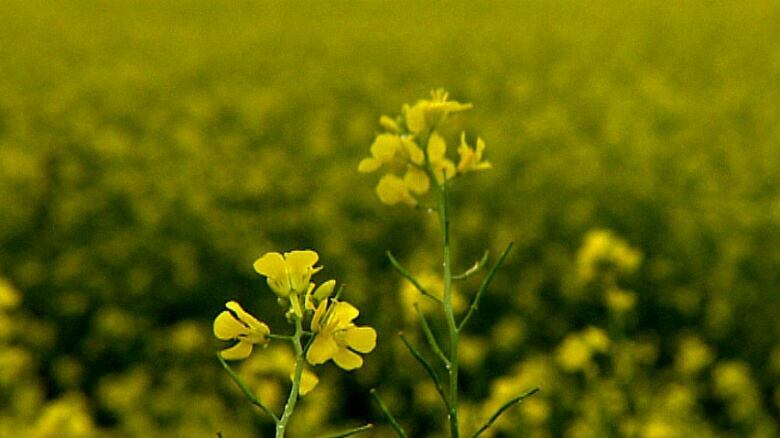 There is also some research being done into growing the mustard to maturity — and then selling the seeds as a cash crop. "There are some potential markets coming up, there's a bit of talk about it," Wilting said. "I think there's some people who have started selling a little bit — it's not a big crop to sell yet but that may be down the road." In Middleton, P.E.I., Troy Webster of MWM Farms has dramatically increased the amount of mustard he's planting. 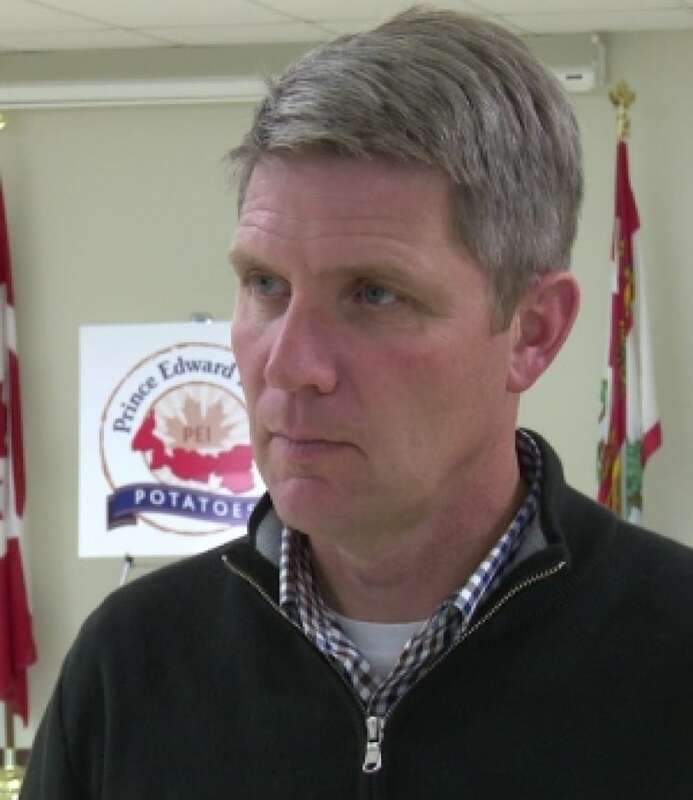 "We decided that if we're going to do this, we thought we would take the bull by the horns, so to speak, and so every acre of potatoes that we grow, we put a crop of mustard in before it," Webster said. That translates into more than 500 hectares of mustard this year. 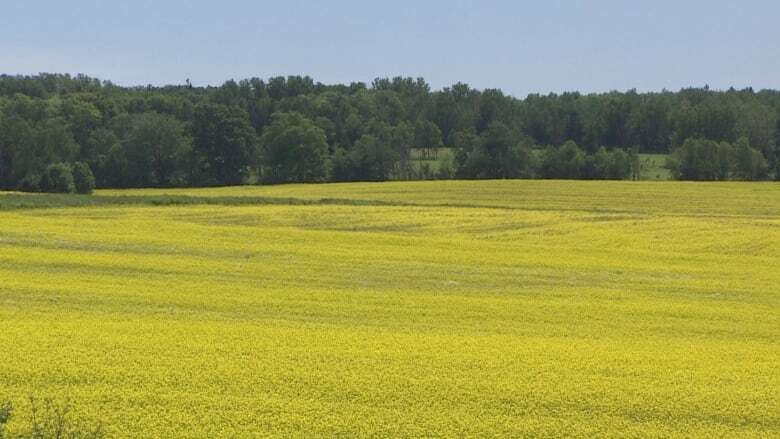 The growers are cautious, but predict that as long as mustard keeps doing its work, these fields will continue to be a common sight across Prince Edward Island. "In a way it almost feels too good to be true," Webster said. "We've said on our farm if it does half of what it's supposed to do, we'll be very happy." Greg Donald of the P.E.I. Potato Board said the increase in mustard is obvious as you drive around the Island countryside. "We don't have an exact number of how many acres on P.E.I., but it would definitely be well into the thousands of acres," said Donald. "It's proven to be very effective and not only for the control of wireworm, but it also has the ability to help with soil health, building up soil organic matter. Over the last few years, it has grown significantly."